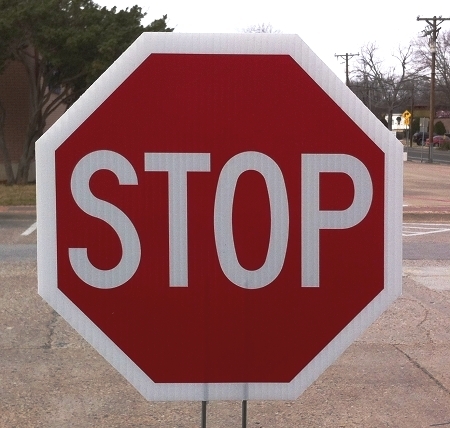 18 Inch Hand Held Stop Signs available in 3 legend options. Our Best Sellers! 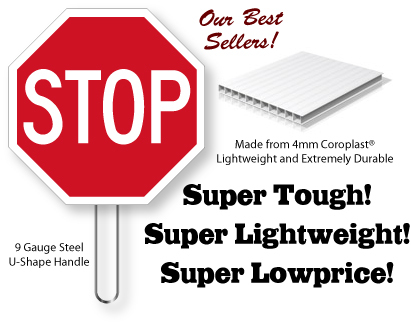 Originally developed for School Crossing Guards designed to be very lightweight and extremely durable these handheld stop signs are rapidly becoming a favorite with Fire & Police departments as a alternative to the bulkier, heavier and more expensive hand held signs. Extremely Economical Coroplast® Material Super Lightweight and Very Rugged. fatique than heavier hand held stop signs. 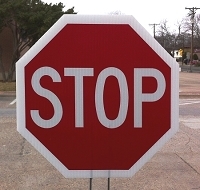 Q: Is this STOP sign two sided? A: Yes it is 2 sided. You have three options to choose from: Stop/Stop , Stop/Slow or Stope/Go.